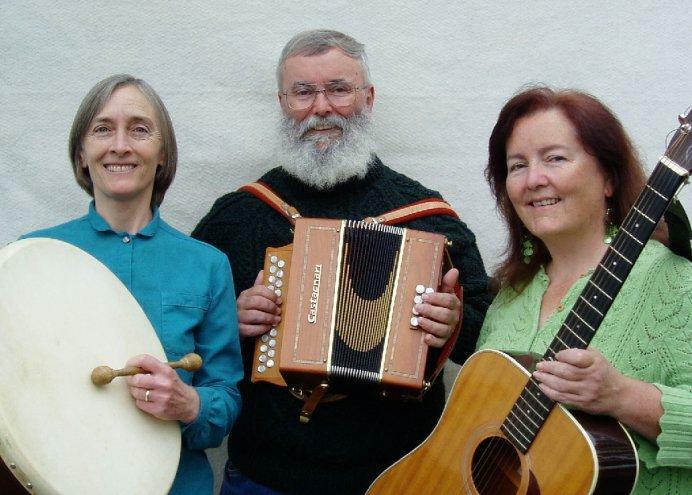 THE HYLANDS, a family of multi-talented musicians from the Binghamton, NY area, perform a broad spectrum of traditional and contemporary Irish songs in English and Gaelic. Their material ranges from rowdy pub songs to delicate three-part harmonies, dance tunes to intricate "sean nos" ballads. This range reflects diverse influences within the Irish tradition. THE HYLANDS have a wealth of personal and musical experience that enriches each performance. BRIAN HYLAND (pennywhistle, flute, Anglo and English concertinas, harmonica, piano and button accordion, bodhrán, bones and vocals): A musician, singer and songwriter-composer, Brian began performing in 1975 with the Binghamton-area pub band, Glenside Four. Since then he has appeared as a solo act, as a duet with his wife Peggy, and in several bands. Besides playing with THE HYLANDS, Brian appears with Ithaca guitarist Chris Woodard in the Celtic-jazz-classical duo Celtimorphosis and with Donal O'Shaughnessy. Brian has a broad performance background that includes acting in community theater. He has traveled and performed in Ireland, Britain, Germany, Italy, South Korea, and Israel, teaches high school social studies and Latin, and coaches cross country and track. MARY PAT HYLAND (guitar, pennywhistle, bodhrán and vocals): A powerful, expressive singer, Mary Pat began her career performing in rock and jazz groups, then returned to her Irish roots through dancing. A former member of local ceili dance troupes, Mary Pat has competed in many feiseanna and won awards for step, ceili and set dancing, "sean nos" singing and Irish language. In 1994 she won second place for traditional singing in Irish at the Fleadh Cheoil in New York City. At the 1999 North American Comhaltas Ceoltoiri Eireann Convention, she was recorded by RTE for "Ceili House" a weekly Irish radio broadcast. She attends Gaeltacht weekends in the Catskills and in 1996 traveled to Carraroe, Co. Galway for an immersion course in the Irish language. Her travels have also taken her across 44 states and 7 Canadian provinces. Mary Pat is a prolific writer and a former editor at the Binghamton Press and Sun Bulletin. She has published six novels, The Cyber Miracles (2008) A Sudden Gift of Fate (2009), 3/17 (2010), The Terminal Diner (2011), A Wisdom of Owls (2011), and The House with the Wraparound Porch (2013). A collection of her short stories In the Shadow of the Onion Domes appeared in 2014. She has read her humorous short stories at Sin É," an Irish coffee house in New York City. She also works as a free-lance graphic and fine artist. 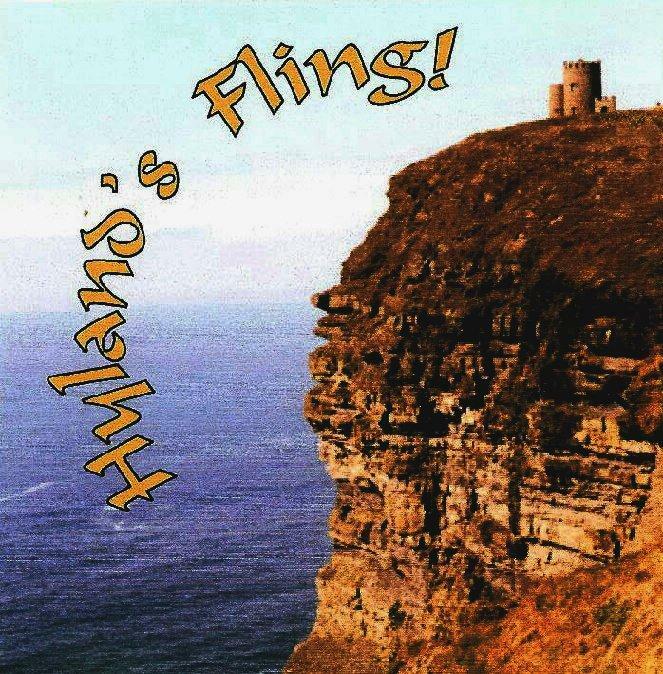 "Hylands' Fling" (Self-produced, 1999): Brian, Peggy and John Hyland collaborated with Chris Woodard of Celtimorphosis and Pat Kane & Rob Spence of West o' Clare to produce a unique album called "Hylands' Fling." "A Private Audience with The Hylands," (WSKG Radio, 1999): Radio show dedicated to the music of the Hylands. To contact The Hylands about bookings, please click here. Thank you!